Flights to Brisbane are available with a variety of airlines such as Qantas, Jetstar, Virgin Australia, Tigerair and Air New Zealand and are available from the majority of Australian cities including Adelaide, Alice Springs, Avalon, Broome, Cairns, Canberra, Darwin, Hamilton Island, Hobart, Karratha, Launceston, Mackay, Melbourne, Mount Isa, Newcastle, Port Hedland, Perth, Proserpine, Sydney, Townsville and Rockhampton as well as international destinations including Auckland, Christchurch, Denpasar, Dunedin, Hong Kong, Honiara, Los Angeles, Manila, Nadi, Norfolk Island, Nouméa, Port Moresby, Port Vila, Queenstown, Singapore and Wellington. Flight times vary from 1.5 to 13 hours and depend on your point of departure and any stopovers that may be included in the fare. Booking transfers at the same time you book your flights and accommodation is a great way to save money and save any hassle at the airport. Pre-arranged transfers mean a quick and easy way to get from the airport to your hotel and we’re happy to help you if you have any questions so feel free to get in contact with us. Virgin Australia: Offers flights departing Darwin, Cairns, Mackay, Hamilton Island, Proserpine, Townsville, Rockhampton, Mount Isa, Newcastle, Sydney, Canberra, Melbourne, Launceston, Hobart, Adelaide, Perth, Auckland, Christchurch, Queenstown, Dunedin, Wellington, Port Vila, Nadi, Port Moresby, Denpasar, Honiara and Los Angeles taking between 2.5 and 13 hours. Jetstar: Offers flights departing Cairns, Darwin, Townsville, Mackay, Proserpine, Hamilton Island, Newcastle, Sydney, Avalon, Melbourne, Hobart, Launceston, Adelaide, Perth and Denpasar taking between 1.5 and 4.5 hours. Qantas: Offer flights departing Alice Springs, Mount Isa, Darwin, Cairns, Townsville, Sydney, Canberra, Melbourne, Hobart, Adelaide, Perth, Karratha, Port Hedland, Broome, Auckland, Queenstown, Nouméa, Singapore, Manila Hong Kong and Los Angeles taking approximately 2.5 to 13.5 hours. 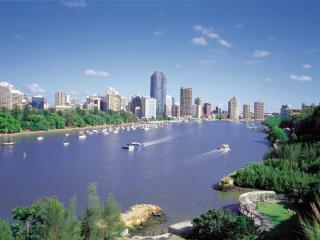 Tigerair: Offers flights departing Melbourne and Sydney and taking approximately 2 to 3 hours. Air New Zealand: Offers direct flights from Auckland, Christchurch, Queenstown and Norfolk Island taking approximately 5 hours. Transport options are available from both the international and domestic terminals of the Brisbane Airport and range from shuttle buses and taxis to car hire and even public railway transport. 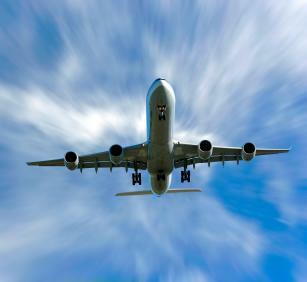 However a pre-booked transfer is the quickest and easiest way to get from the airport to your accommodation. Use a recommended service provider, save money and avoid waiting at the terminal by arranging your transfers when you book your flights and accommodation with us. Located within 20 minutes of the CBD, Brisbane Airport is Queensland’s major airport and is home to both international and domestic terminals. 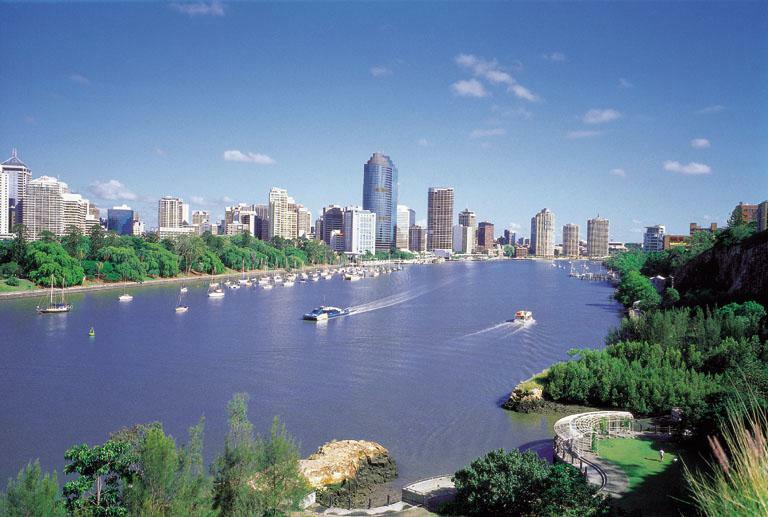 Approximately 1 hour’s drive from popular attractions such as the Sunshine Coast and Gold Coast theme parks, the Brisbane Airport is also conveniently located close to inner city accommodation options, shopping, dining and nightlife. 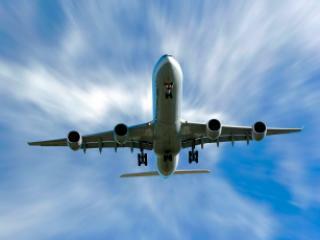 For more information about Brisbane Airport visit the Airports page.